Ever feel lost in the weight room, ladies? Looking for a designated time to work on your strength outside of the busy weight room? This class will safely help you learn and improve your front squat, deadlift, and other compound movements while sculpting and defining your muscles. Class is located in the Performance Center. Brittney is a Psychology major at San Diego State University and working towards a future career in counseling. She believes in the importance of maintaining a healthy balance between mental and physical wellness. 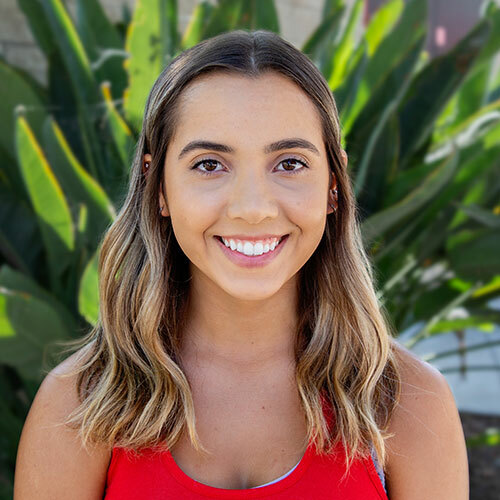 As a group fitness instructor, Brittney seeks to provide a welcoming environment that encourages participants to embrace their individual goals! Her favorite form of fitness is Crossfit because it has challenging workouts that incorporate the values of comradery, perseverance, and enthusiasm. Brittney strives to replicate this same positivity throughout all of her fitness encounters!